Blank sheets is one of the types of printed products. It is a sheet, whith free fields and space to fill in an information. 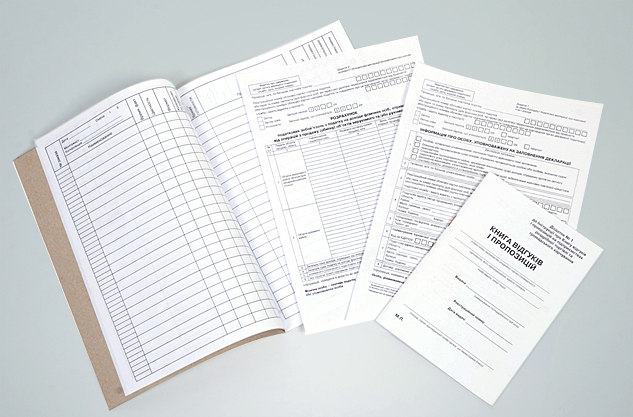 Blank sheet can be designed both for internal use and for communication with regulatory agencies or partners. As a rule, almost all the documentation is drawn up with blank sheets. For a long time printing of blank sheets due to the corporate style and attributes of the company is accepted as good manners in the business environment. The blank sheets production with company logo, contact information and other details testifies to the respectability of the company and positively affect its image. In printing house Factor Druk you can always order the production of blank sheets with the necessary form and brand attributes. We print the blank sheets format from A6 to A3 on coated paper of high quality. Be sure, blank sheets, printed in a printing house Factor Druk, will not only first-class fulfill its direct task, but will be recognized by your business partners, and will contribute to strengthening the reputation of your company.